We're going to tell you why the best reverb pedal is so important for musicians. 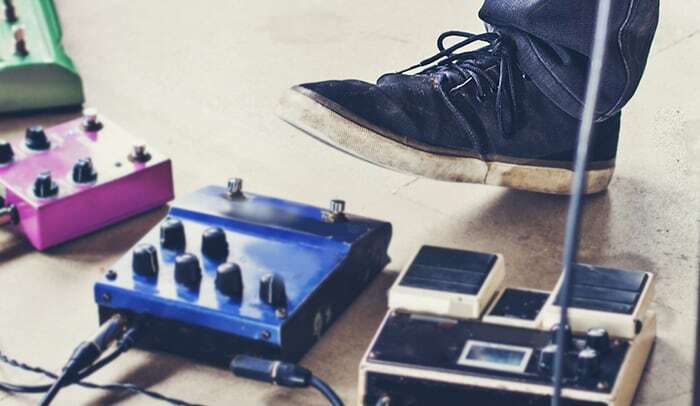 If you're someone who's just purchased a guitar and want to master it, but aren't completely satisfied with the sound that you get, try adding a pedal to the guitar. You'll hear your sound completely transformed. 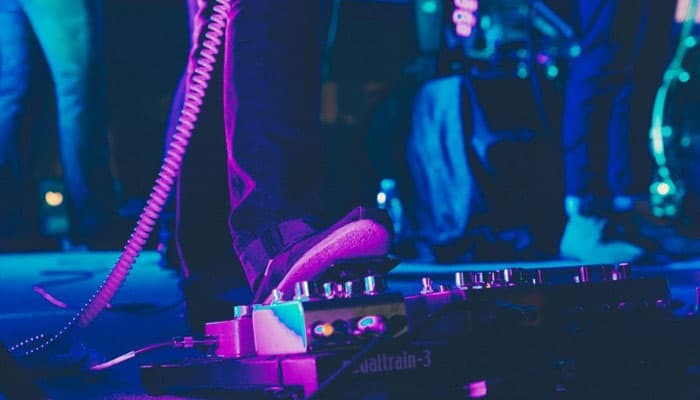 Although electric guitar amps come equipped with a built-in reverb pedal, it isn't as effective as having an external pedal. The reverb pedal is capable of giving you more control over your playing. The outcome is much better than what you'd get with a simple electric guitar and an amp. You may also like - Top 10 Flanger Pedals Review. If you're looking to spice up your guitar music, there's no better way to do so than add a reverb pedal to your setup. If you're shopping around for a reverb pedal, you'll soon realize that there are a number available. To make things easier for you, we've come up with a list of the best reverb pedals to make your reverb pedal shopping experience hassle-free. Capable of true bypass so there's no loss of tone. Flexible and can fit into any setup with ease; comes equipped with stereo in and out. Gives you clear, crisp tonal quality. Comes with six distinct reverb styles. Every reverb style is richly detailed as you would find with some of the very high-end models. It comes with delay trails modes and true relay bypass. Comes with 24-bit high-resolution reverbs of six different types: Spring, Hall. Plate, Room, Modulate, and Gate. Capable of great sound shaping since it comes equipped with dedicated tone, time, mode, and level controls. Great price point for number of features. One thing that you'll tend to experience with reverb pedals is a loss of tone. Not the case with this reverb pedal from TC Electronic. It'll make your guitar sound way better than you're used to. The complete, comprehensive control that you get with this reverb pedal is simply amazing. The TC Electronic Hall of Fame Reverb Pedal is capable of giving you all the reverberation that you could ever want from your electric guitar. It's one of the best reverb pedals around. + Capable of true bypass so there's no loss of tone. + Flexible and can fit into any setup with ease; comes equipped with stereo in and out. + Gives you clear, crisp tonal quality. Why We Liked It - As far as the functionality of the TC Electronic Hall of Fame Reverb Pedal is concerned, this bad boy is flawless. It might not be equipped with a useful power supply but they're easy enough to pick up, so don't let that factor deter you. This reverb pedal has the perfect blend of functionality and versatility. 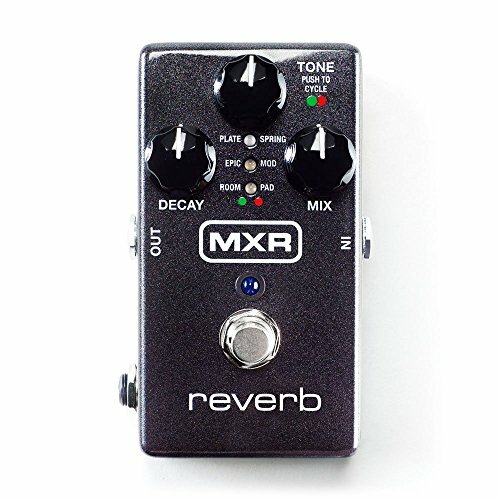 It comes with six different reverb styles that are perfectly crafted and fine-tuned by the expert MXR team. The setup of this reverb pedal is fairly easy. It comes with Constant Headroom Technology which allows it to deliver 20 volts of headroom. The six reverb styles give it all the versatility in the world and it is something that you will find in the fairly expensive plug-in and rack units. + Comes with six distinct reverb styles. + Every reverb style is richly detailed as you would find with some of the very high-end models. + It comes with delay trails modes and true relay bypass. Why We Liked It - With its rugged construction and variety of reverb styles, the MXR M300 Reverb Guitar Effects Pedal is one of the best reverb pedals that you'll see out there. The best part? It isn't expensive. Behringer has been manufacturing state of the art audio solutions for decades. 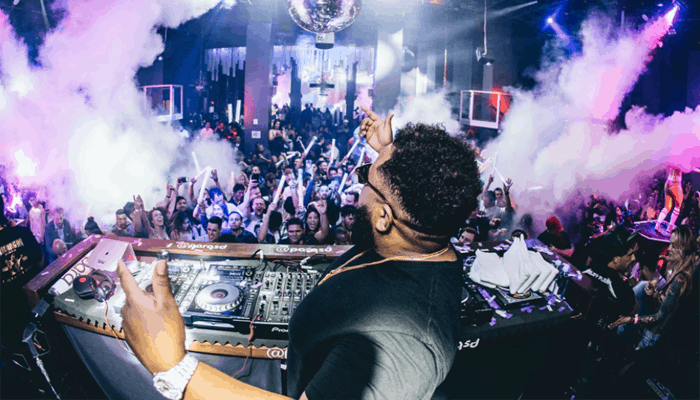 The company is rated pretty highly in the eyes of audio professionals and audio technicians the world over; its consistent quality has won it lifelong fans. The Behringer DR600 Digital Stereo Reverb Effects Pedal is another amazing product by Behringer at an amazingly low price point. This stereo reverb pedal is the first choice of many musicians. It's a 24-bit high-resolution reverb pedal that in-house the six most desired reverb styles. + Comes with 24-bit high-resolution reverbs of six different types: Spring, Hall. Plate, + Room, Modulate, and Gate. + Capable of great sound shaping since it comes equipped with dedicated tone, time, mode, and level controls. + Great price point for number of features. Why We Liked It - The Behringer DR600 Digital Stereo Reverb Effects Pedal has top quality from one of the best in the business at a low price. Small, durable, stereo reverb pedal. 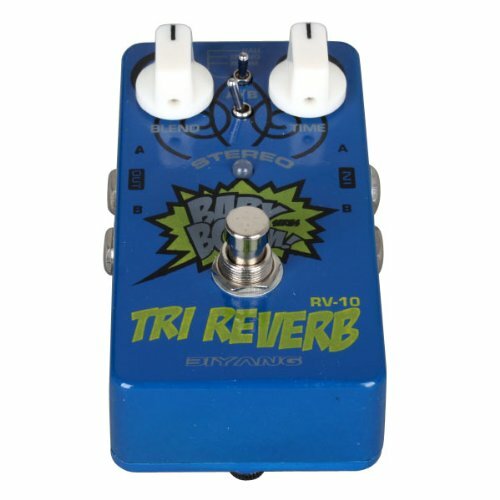 Need we say more?The Biyang Rv-10 3 mode delivers all the control that you could ever need from a reverb pedal. Another great affordable option. + Equipped with all metal steel enclosure for enhancing durability. + Analog circuit designs that enable it to deliver realistic reverb. + Has a toggle switch for selecting between three different modes, room, spring, and hall. Why We Liked It -It's almost impossible to pick out a single flaw here, making it a natural choice for our list. Ever wondered why your electric guitar could not sound complete even with the best of the guitar amps? With the Caline Reverb Guitar Effect Pedal True Bypass Aluminum Alloy Housing CP-26 installed in your guitar setup, you'll get the richest sound you could imagine. + This reverb guitar pedal can easily adjust to all reverb levels. +Won delay function to maintain the original sound quality while getting a good reverb effect. + It comes with low pass filter LPF that helps adjust the radio frequency component of reverb. Why We Liked It - It'd be tough to find a better reverb pedal than the Caline Reverb Guitar Effect Pedal at this price point. 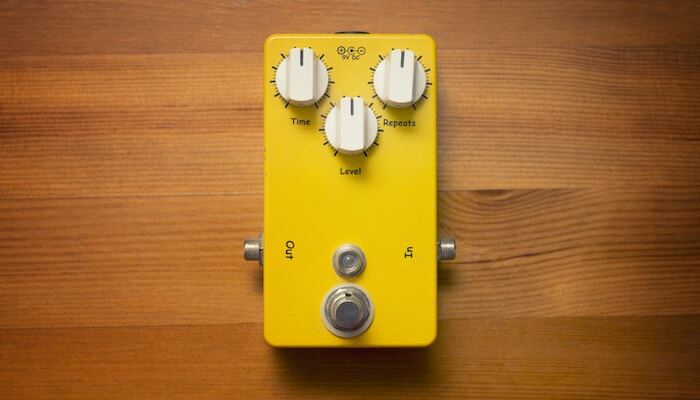 This reverb pedal houses three distinct reverb styles. The spring reverb style it has on offer will take you to the classics and leave you mesmerized. Next in line is the hall reverb which is also pretty detailed, as is the final reverb style. The design of the Electro-Harmonix HOLY GRAIL NANO Reverb Pedal is so compact that it's hard to believe it can deliver such a spacious hall reverb. Plus, the Flerb that you get is also top quality. + The spring reverb is completely unmatched. + It comes with a power supply (96DC-200BI), so no need for batteries. Why We Liked It - If you're a fan of the classic spring reverb, the Electro-Harmonix HOLY GRAIL NANO Reverb Pedal is the perfect reverb pedal for you. This reverb pedal gives you all the control you need when playing an electric guitar. The output is amazing. It comes with three different types of reverbs and a mode switch so that you can select whichever reverb you want without issue. + Comes with true bypass switching ensuring that the signal is always uninterrupted. + Reverb knob controls enable you to easily go from 100 percent dry to 100 percent wet. + The sound of this reverb pedal is the same as that of Holy Grail Nano. 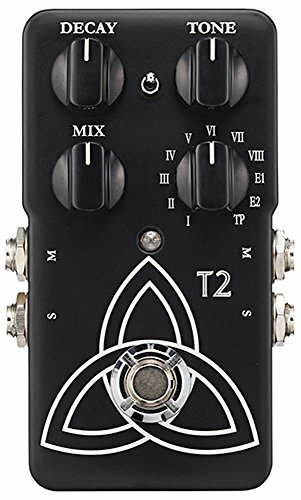 Why We Liked It - With all the control and the great sound quality that this reverb pedal has on offer, it is surely one of the best out there. 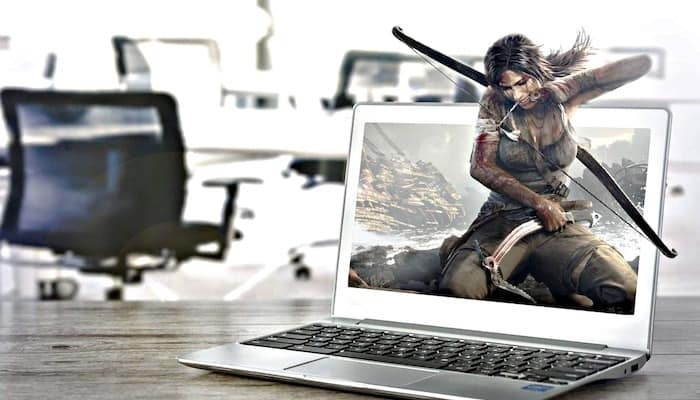 Boss is the real deal when it comes to highly-rated audio solutions. It's a preferred brand of audiophiles and audio professionals all around the globe. As far as reverb pedals go, it's certainly the industry leader. The RV-6 Digital Reverb is no exception. + Equipped with 8 sound modes for major versatility. Why We Liked It - The RV-6 Digital Reverb is easy to use and so versatile, we totally understand why so many folks love it. If you're a reverb freak and can't imagine playing your guitar without that sick sound, you need this reverb pedal. Control and complete sound all in one convenient package. This is reverb at its finest. + Equipped with ten gorgeous reverb sounds. + Made from high-quality components ensuring the durability of this product. Why We Liked It - With so many reverb options and such high-quality craftsmanship, you can't go wrong with this reverb pedal. With its compact design, this reverb pedal is highly portable and the sound that you get from it is top quality. The major features on this are the plate and reverse reverb which allow you to get seriously creative. + It is a true bypass making sure the signal remains at its peak whenever you use it. + Comes with four different reverb types including spring, hall, reverse, and plate. 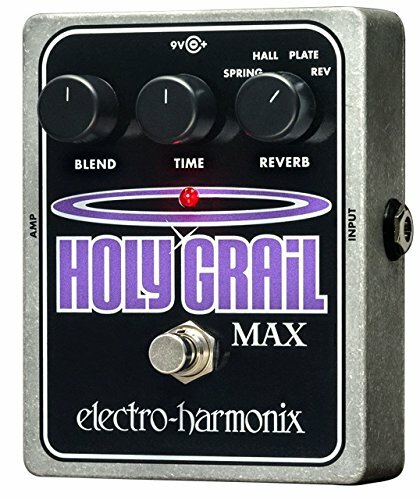 Why We Liked It - Some people might think the Electro-Harmonix Holy Grail Max Reverb is a bit overpriced, but with all the features and an amazing sound quality, it is worth the price tag. Our top pick is a reverb pedal that allows flexibility as well as simplicity. The TC Electronic Hall of Fame Reverb Pedal is just what you need if you want the best simulation and trail off effects. It has the true bypass feature as well as analog dry through, so you have genuine tones and clarity. It's even better for a stereo setup as it has a stereo in and out option. With its compact size, it's perfect if you have less pedal space. This is easily our top pick, simply because of its many effects packed into one. It allows you to practice different settings which is useful if you're still finding your style.You can practice with one instead of buying many. And you can be sure about quality as this reverb is used by many legendary guitarists. Check out the YouTube demos to see how amazing this pedal really is. The control is completely in your hands. The MXR M300 Reverb Guitar Effects Pedal is a high-quality pedal designed for those who know what kind of sound they want. It has six different distinctive effects put into one. You have true bypass and different delay trail modes. The analog dry path is high-fi with a whopping 20 volts of headroom. With the push of a knob, you can utilize an effect that is completely distinct from the previous one. Why is it a premium quality reverb pedal? Each effect is meticulously detailed, making it suitable for professional use. It is many reverb effects combined in one -plate, spring, and room. One interesting effect is the Epic effect, which is a combination of different analog tone delays. It also has stereo input and output and 100 percent wet mode. Whatever your needs may be, this reverb is sure to have something you'll love. It's a little pricey but you get high-quality multipurpose reverb that is definitely for those who want to take risks. If you're on a limited budget but don't want to go for something basic and low quality, the Behringer DR600 DIGITAL REVERB Digital Stereo Reverb Effects Pedal has you covered. This digital reverb is as convenient to use as any other high-end digital reverb pedal. It's also a multiple reverb combined in one; there are six different types including plate, spring, room, hall, gate, and modulate. For musicians looking for even more options all-in-one pedals, we recommend checking our multi-effects pedals review. In addition to these different reverbs, you have three other controls that let you make your sound even more distinctive. You have a level, time, and tone to tweak the different modes even further. You have the level, time and tone to tweak the different modes even further. It's a small yet extremely hardy piece of gear designed for prolonged use. It runs on the 9V battery from Behringer. It's incredibly affordable. You get all of these features and high-quality for under $50. It's definitely the best reverb pedal under $50 or even under $100. If you're just starting to play around with the reverb effect you'll find this very easy to use, especially if you're after the great value. Understanding different effects and what they do is extremely important. Reverb pedals help to reflect sound off the surfaces of a room or venue. 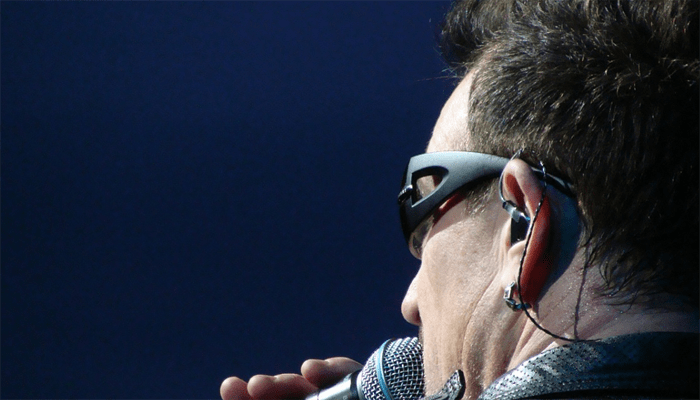 It creates a sort of live performance effect for your sound. 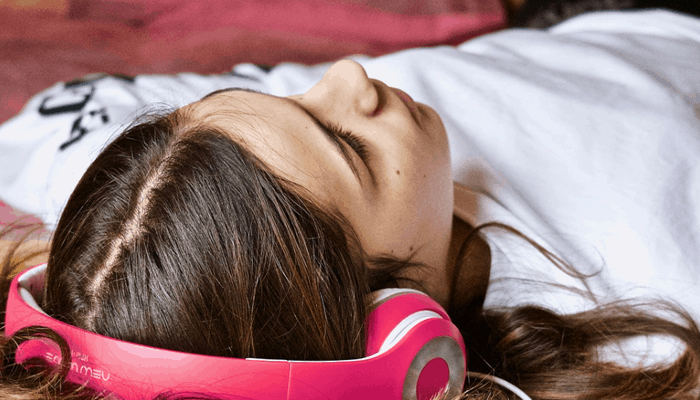 You can adjust the sound anywhere from a small studio to a jam-packed hall. It's frequently used by rock and indie guitarists. There are quite a few types of reverb pedals and some of them get even more distinct when combined with other types of effects. Here are the main types you should know about. This is the most commonly used and features a spring that vibrates and a pickup that absorbs the vibration. With quite a distinctive sound, spring reverbs were traditionally built into some amps. However, today things are done digitally. The decay is quick here and the sound is brighter as a result. This is why so many guitarists love this effect in their compositions. If you replace the spring from the spring reverb with a metal plate you get a plate reverb. The mechanism is pretty much the same; a pickup captures the vibration from the plate. It is subtle but with sudden enhancements that make it bright too. These reverbs tweak your tones to make it sound as if they're being played in an empty hall or room. With these, you can choose which kind of room effect you want, e.g a small room or a giant theater. This is pretty self-explanatory. It reflects the sonic bounces of a small or middle sized room. It has decay less than a second and has a very discreet sound. Room reverb is good if you're looking for a subtle reverb effect and want to retain the warmth of your sound. This type of reverb pedal gives you a short decay time of 0.4 to 1.2 seconds. If you want a warmer sound, this reverb is the best for you. The sound is also clearer with this type of pedal. A gated reverb reduces the reverb or altogether silences it when the volume of the guitar goes below a certain threshold. It can make the sound of the reverb quite big. Click here for the top noise gate pedals money can buy. Most guitarists today use digital reverb pedals; they are more convenient to use. They do these simulations digitally rather than using a spring or plate. If you're going for a more vintage sound, then a reverb with an actual spring would be a better choice. The stompboxes are a lot more convenient for guitarists so most of the reverb pedals you will come across are digital. Not all reverb pedals are stereo, so you should go for a stereo pedal specifically if you have a stereo rig. Iif most of your current pedals are stereo then you would want a stereo reverb pedal too. The reason is that the reverb pedal is usually the last effect in the chain and if it is stereo, the results can be significantly different. Obviously, the stereo reverb combined with another stereo will produce the best stereo rig. True bypass or a buffer is a crucial consideration for a reverb pedal. A reverb pedal is similar to delay i.e. the sound trails off for some time even after you've stopped playing. Imagine hitting the bypass footswitch while the reverb is still at work. You'll abruptly cut the effect and the sound won't naturally fade, a real bummer if you're playing live. You'll find more pedals have a true bypass or a buffer or a combination of both. True bypass isn't a great addition to the reverb type. Buffer, on the other hand, is something you can work with. Once engaged, the sound will continue to fade naturally. The reverb effect will stay alive as opposed to what would happen if you used the true bypass. True bypass is usually great with other effects but it is not recommended for reverb for these reasons. However, if you plan on using the reverb continuously, then true bypass won't be a problem. It only creates a problem if you turn it on and off again and again. When shopping for a reverb pedal, your best option is to look for one with both true bypass and buffer. Your budget is important to consider as well because there are pedals available around $30 to $40 then there are those that cost upwards of $100. Price depends on the quality and brand of the pedal. Features, however, do not depend on the price. There are cheaper options with similar if not the exact same features as the expensive reverb. The key here is simply your own needs and budget. It's easy to find the kind of features you want at a lower price; many reverbs are basically multiple types combined. However, if you go for the expensive pedals, you'll get better quality and potentially some advanced functions. For beginners and those looking for simple pedals, spending a lot on reverb is probably not the best idea. Reverb and Delay are somewhat similar but there are differences. Delay repeats the guitar while reverb reflects the sound of the guitar. The latter has more to do with defining the space of the sound. They are usually used together with delay coming first and the sound moving from delay to reverb. They are similar because they are used at the end of the signal chain. Delay and reverb are the last pedals in the chain. When used together they create a more ambient sound with somewhat of a unique presence. You can see that reverb pedals aren't all the same and the effects the different kinds of produce depend on what you want. Reverb pedals can also be combined with other effects like modulation or delay. Obviously, the results will be even more distinctive. 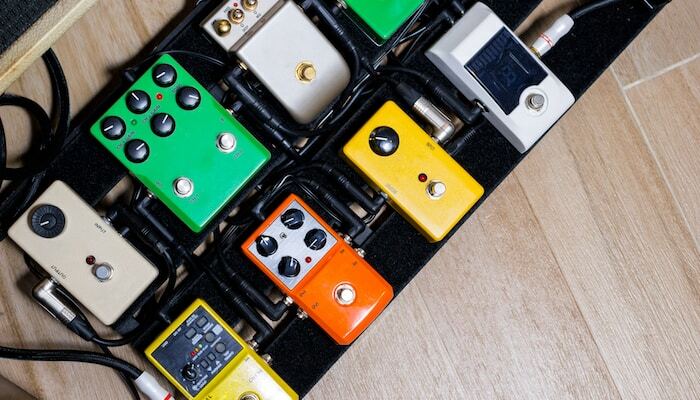 Modern pedals can have many functions that allow you to tweak the sound to your preferences. You can have a single function or numerous settings for making the sound trail off and space according to your own liking. If you want a simpler sound, go for the most basic pedal with fewer features. If you want to take control of every little detail in your sound, opt for the digital reverbs that have many layers of controls. The common control you will find on almost all reverbs is the decay which can be one level or several. Other considerations could include flexibility, as some guitarists prefer having more than one effect packed into one. The flexibility will allow you to switch between different kinds of reverbs. Also, you can have presets, unless you prefer adjusting the settings manually. Size is another important thing to consider. These pedals come in different sizes. Reverb is usually the last one to go on your pedalboard, so you should know how much space you have left on it to place the reverb. You can easily find the standard or mini size reverb pedals from some of the most famous brands online. What is a Reverb Pedal? Reverb is the result of sound hitting different surfaces at various amplitudes, which creates a complex echo/delay effect. This echo effect also carries physical information about a particular space. Reverb is a sound that depends on the surface’s measurements and depth. Different measurement and depth options put out different amplitudes and delays in sound, thus creating many effects. Imagine that a musician needs a hall reverb in his music. What will he do to achieve it? Either he can shift his studio to a gigantic hall or use a simple instrument to get a halo-like effect. This is where a reverb pedal comes in. This compact instrument allows musicians to add available reverb to their music or instruments. The reverb pedal features effects like hall, washroom, arena, stadium, etc. All the information of depth and measurements of these particular effects are stored in the reverb pedal so you can tweak the required setting without actually shifting to that particular surrounding. What is a Reverb Pedal Used For? Reverb pedals feature different surrounding effects in one compact box. Reverb pedals are used to add various surrounding effects to music. 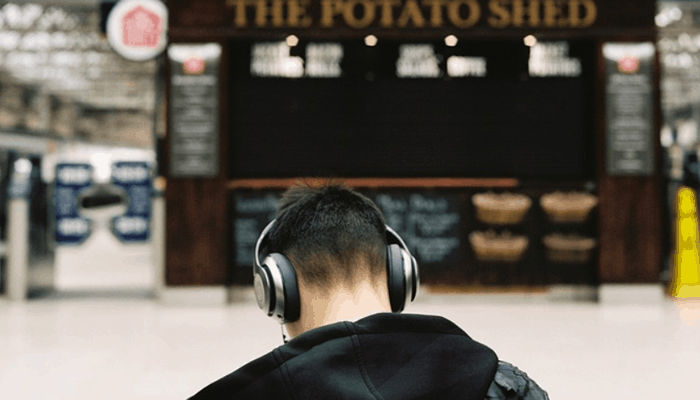 For instance, if a guitarist wants to compile his guitar recordings as if he had recorded it in a hall, he can either shift his instruments to a hall or use a simple stored effect on a reverb pedal to get the same results. Basically, a reverb pedal is used to achieve sound simulations you would get in closed or opened surroundings. On the technical side, a reverb pedal alters the signal you're sending to the amp (with stored settings) to get an alteration in how your guitar or instrument will sound. 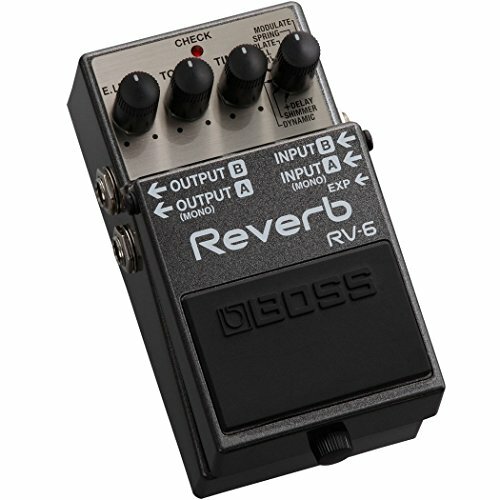 Why Would I Need a Reverb Pedal? It depends on your personal preference! Many musicians out there want a reverb pedal to alter the signals of their instruments and make them sound like they're playing in a different space. Others don't like editing their signals, favoring the original instrument sound. So the answer depends on your personal choice. What are the Different Types of Reverb Pedals? Reverb pedals reverberate sound. There are five common types of reverbs. This specific type of reverb is designed naturally by the mechanical system. Inside the system, the opposite sides of the spring are embedded with a transducer and a pickup so that the vibrations can be sensed. Although reverb pedals offer you a spring reverb, some guitar amps (like Fender) also offer you a built-in spring reverb. The market offers both analog and digital spring reverb pedals but the analog one’ are as rare as hen’s tooth. Spring reverb pedals are used to produce “boingy” sound. Room reverbs are used to output a natural acoustic space sound as similar to a small room. The mechanism of this reverb reflects shorter waves that tend to wash off quicker. This type of reverb is mostly used to substitute slap-back echo type sound or lining it up with a slap-back delay to receive an enhanced effect. Room reverb pedals output a slap-back echo sound. 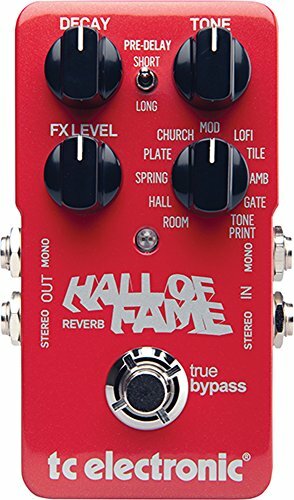 The hall reverb pedal has the same sound effect as a hall. The hall reverb pedal is used to alter the signals into sounding hall-like. Hall reverbs generate a much bigger surrounding effect than room reverb, with longer reflections and decay times. For large sounding, longer decays and complex reflections hall reverb pedals are the best. Plate reverb pedals are known for contributing short to long and focused reverbs. Plate reverb pedal produces a studio effect. For more detailing, engineers added a delay for pre-delay and tweaked its frequencies by the help of EQ. Shimmer aka pitch-shafted reverb pedals are commonly used with the guitars. Basically, this reverb adds harmony to the guitar’s signal. This reverb includes octave up and down effects. Octave up on the wet guitar signal produces a halo-like sound in the upper frequencies. Shimmer reverb pedals produce unnatural ambiance pitch-shafted sound. Reverse reverbs are engineered in studios by recording reverb trails and reversing them leading signals into the sound source. Some of the pedals create interesting variations with the reversed trails. Ever experienced volume drops on your guitar? If yes, then you should consider buying a gated reverb pedal. This pedal reduces or silences the level of your guitar’s reverb when it drops down to a certain threshold, providing a bigger sound without mixing up the sound. This reverb uses audio samples and algorithms to sound like real acoustic spaces. The chamber reverb pedal is used to output a sound with short decay time which results in more clarity. On paper, the reverbs last between 0.4 to 1.2 seconds, producing a warmer sound. Reverb pedals are the most important gadget for adding a different sounding output. 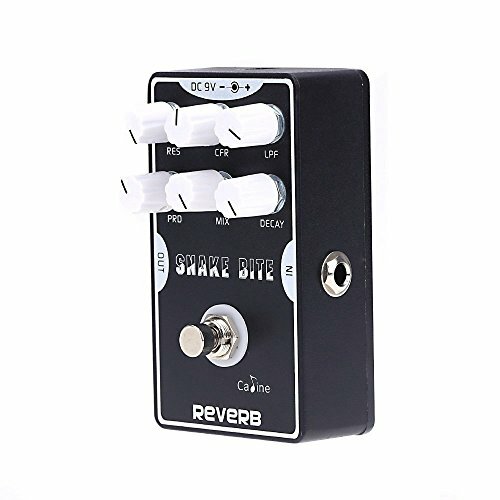 There are many reverb pedals out there which offer you good quality for your money without having to spend a ton of cash. The TC Electronic Hall of Fame ensures that every type of consumer can experience the joy of best reverbs. For more than 20 years, this was the trusted pedal used by leading icons of the music industry like Michael Jackson, etc. The pedal is packed with ten reverb sounds that you might not get on a budget. Decay, Tone and FX level controls allow you to get more control over the reverb. You can also download custom reverb sounds from TC’s official website. The TC Electronic Hall of Fame uses analog circuitry for ensuring tone’s consistency. Other components are digital which means that any musician can easily use this pedal. The battery compartment can be accessed through unscrewing a single screw. The pedal’s housing is sturdy as it is made of metal. With ten built-in reverb sounds, custom downloadable reverbs, and analog circuitry, the TC Electronic Hall of Fame gives you a lot for a low price. The DR600 by Behringer gives you state of the art reverbs on budget. This reverb pedal is engineered with 24-bit digital converters that give you prime access to full, thick sound. This box offers you four modes, spring, plate, hall, and gate. It also features a room modulate mode which produces chorus like effects. The DR600 contains two input and output ports for routing signals into a stereo or feed towards the amplifier for a boosted sound. Status LED lights notify the user if the box is in use or not. This pedal can be powered two ways, with a battery or a DC adapter. With two input and output ports, 4 modes and 1 modulated spring mode, this pedal is worth every penny. Are you looking for a pedal that packs a variety of natural sounding modes at an affordable budget? The RV600 by Behringer is a great option! This reverb machine offers 11 different reverb modes to mimic any sound space. By rotating the knob, you can access various available modes like hall, chamber, tile, echo etc. 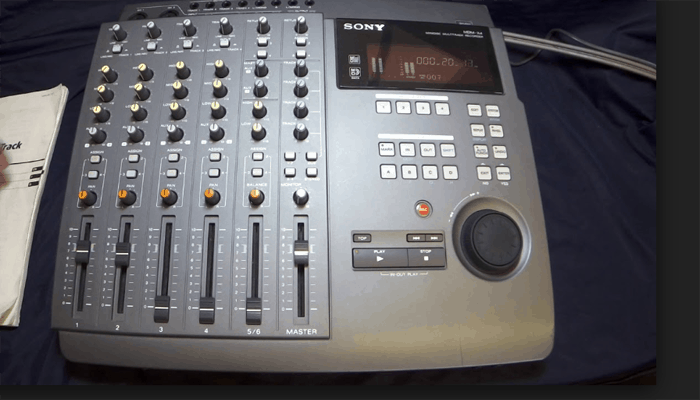 This machine is also equipped with a separate mix, decay, tone and more for full control. You also get a reverb trail switch. With the RV600 you get to experience studio-class reverbs with the press of a button. Likewise, the machine features Real Sound Modelling DSP technology that contains natural algorithms to rock your reverbs. You also get two input and output ports for connecting amps. This bad boy runs on a 9V battery. With the Real Sound Modelling DSP technology, more than 11 reverb options, and a studio class button this reverb pedal offers the most variety under a rock-bottom price point. From expensive to cheap we encounter every type of reverb pedals available. Here are the best of the bunch! 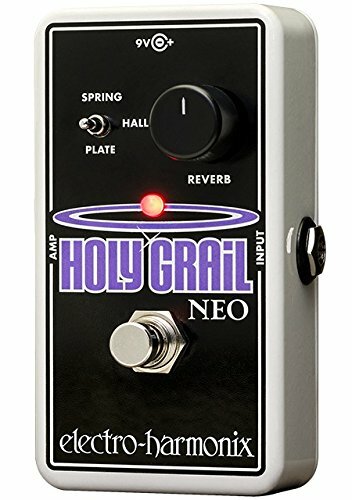 The Holy Grail Nano by Electro-Harmonix is counted among the best reverb pedals. This pedal has a compact design and a lower price. 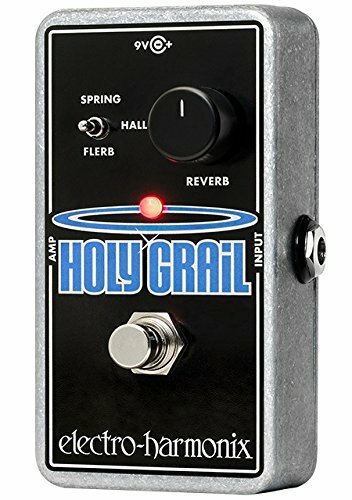 Holy Grail will redefine your experience with its classic spring reverb. You’ll get lost in the mesmerizing quality of its hall reverb. At last, you’ll face the unforgettable flerb rarely found in high-end reverb pedals. The spring mode offers the finest reverb, hall mode sounds spacious, while the flerb mode offers a uniquely ethereal sound. Although this machine offers only 3 modes, it guarantees you the natural feel in all of them unlike those crafted with weak algorithms. This pedal is a stark choice. The company Earthquaker Devices believes a pedal should be compact, simple to use and contain a lot of features. They also have an opinion that pedals should work correctly all the time. That's why every one of their products is hand-made, hand-tested and guaranteed for life. The Dispatch Master by Earthquaker Devices is among the most popular reverb pedal in any music store. With its small size and lush sound, this pedal reverb is capable of working out wonders. It can produce a max of 1.5 sec of delay time with infinite repeats and cavernous reverb. The delay signal outputs clear and strong sound with null after effects or degradation. Similarly, the repeat signal decays into a good ambient swell with no oscillation. The delay signal outputs clear and strong sound with null after effects or degradation. Similarly, the repeat signal decays into a good ambient swell with no oscillation. For giving a thick reverb, repeat control can be tweaked (while using reverb with no delay) to give more depth and dimensions to the sounding. With many controls, compact design and lush sound this pedal smashes all the records.